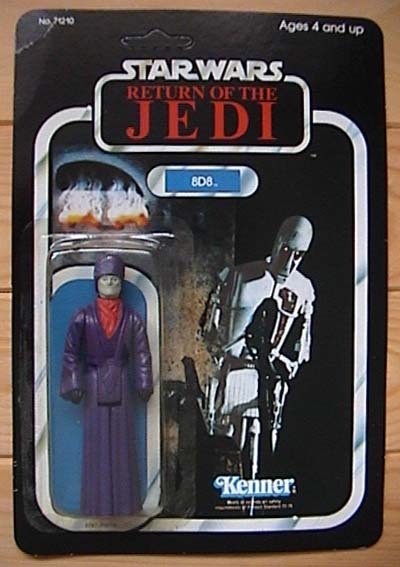 Several POTF figures have appeared on ROTJ 8D8 cardbacks. The general consensus is that these figures were used as samples for creating the proper bubble dimensions, and to see if the bubbles could hold up the weight of the figures. Sometimes the figure included was a first shot, but due to the placement of copyright information on the back of the legs, it can be hard to tell if the figure is not visibly different from a standard figure. It's a treat to see this carded sample complete, because there are a few of these that have been cut around the bubble.